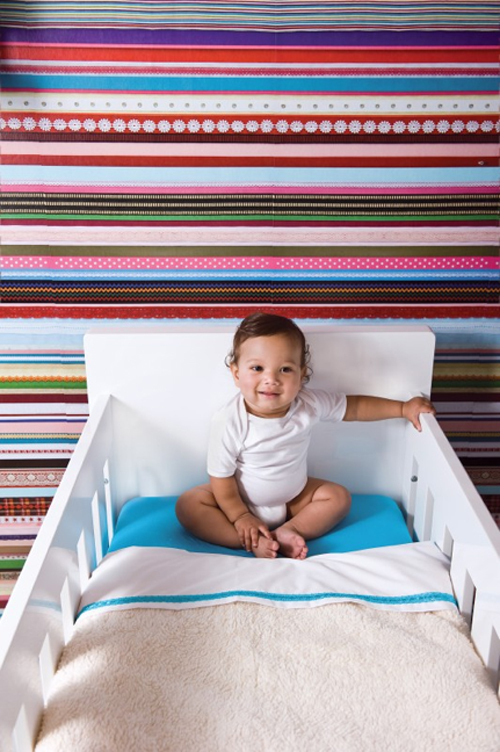 This Ribbon Wallpaper looks beautiful in a nursery. I would like it myself in my room .Or my sons room would look great too. This is lovely, the pattern reminds me of Mexican carpets. The baby is a cuty. It’s a wonderful topic for me. I am going through a wallpaper love-affair! I thought I had seen it all – so thank you for introducing me to this great color fest of design! Would look great in a monochromatic room/nursery!